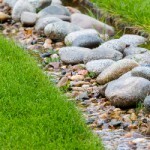 Making the most of your home means also taking care of Huntsville landscaping services. Too many homeowners get focused on fixing up the interior of their home while neglecting to focus on the exterior. 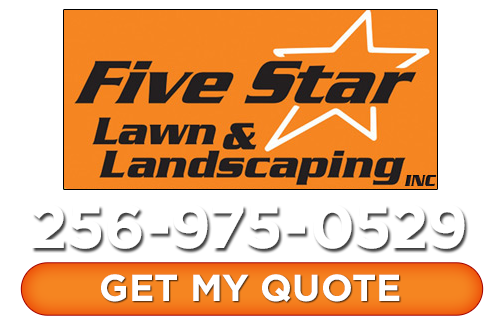 At Five Star Lawn and Landscaping, our Huntsville landscapers work to help you create a stunning exterior that helps makes the right first impression and adds all the curb appeal you deserve. All while giving you and your family a place to enjoy and adding property value to your home. In order to create the lawn of your dreams you have to first have a professional to work with in order to make this happen. Whether you have an idea in mind or don’t have a clue we can help you take care of this task. Stop focusing on just your interior design and let us take care of the exterior one. 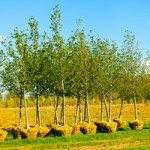 Trees and shrubs are thought of as the bones that make up a well planned landscaping layout. So what will your “bones” say about your plans for your landscaping? Let us help you choose just the right ones and plant them in the perfect spot, just for you. 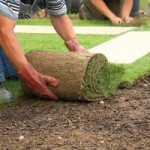 Sod installation is the best way to a think, lush lawn but without the wait time. You get all of the gorgeous green grass with all or the instant gratification. 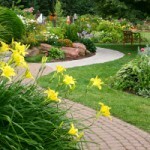 Have and enjoy a healthy yard in time for summer by contacting our team of experts. In order to make the most of your yard and the landscaping design you want, you have to also have proper grading and drainage in place. Our pros know what it takes to ensure your yard can handle rainfall, sprinklers and any other excess water without drowning features of your landscape. But we can also make sure the runoff does not end up collecting near your home or heading toward the foundation of your house. 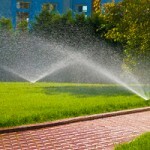 Irrigation systems are an essential part of making sure your yard stays healthy and green. If you are going to invest the money and effort into creating the yard you have always wanted, why not make sure it grows the way it should. Don’t rely on rain or spend the time trying to water with a hose when this system can do all of that for you. 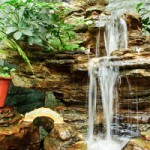 To make your yard really stand out you are going to want to include something dramatic like a water feature. We can make it as subtle and natural or as theatrical and ornate as you would like. All that confines the details are the limits of your imagination. 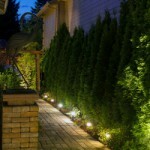 To make the most of your landscaping it is important to be able to create visibility for day and night. But outdoor lighting has a great deal many benefits than that. Let us educate you about these benefits and then show you what a difference expert design and installation can make for your property. If you are looking for professional landscaping services in Huntsville then please call 256-975-0529 or complete our online request form.